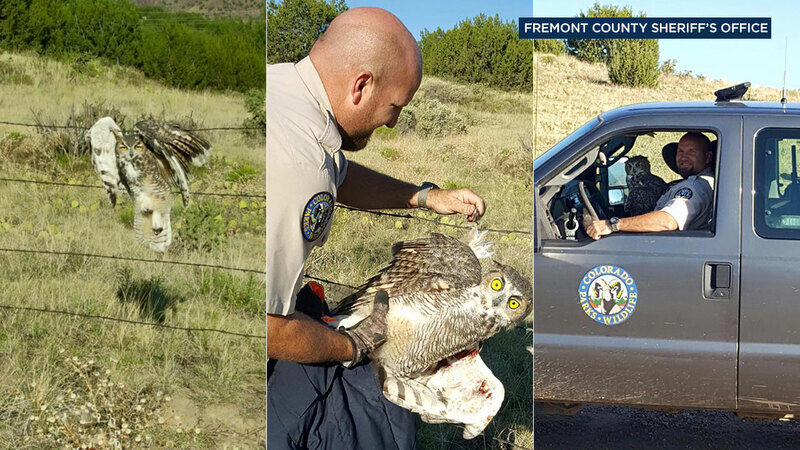 FREMONT COUNTY, Colo. -- An owl in Colorado found itself in an unwise situation - entangled and helpless in a barbed wire fence. Luckily for the owl, someone called the local sheriff's office in Fremont County in time and they notified state wildlife officials. A Colorado Parks and Wildlife officer was able to free the owl's wings from the barbs. The rescued bird got to ride in the officer's front seat on the way to a local rehab center.